Summer in New York abounds with family fun — but it’s also blazing hot. With that in mind, we’ve rounded up the top five ways to beat the heat in NYC with the young'uns in tow. 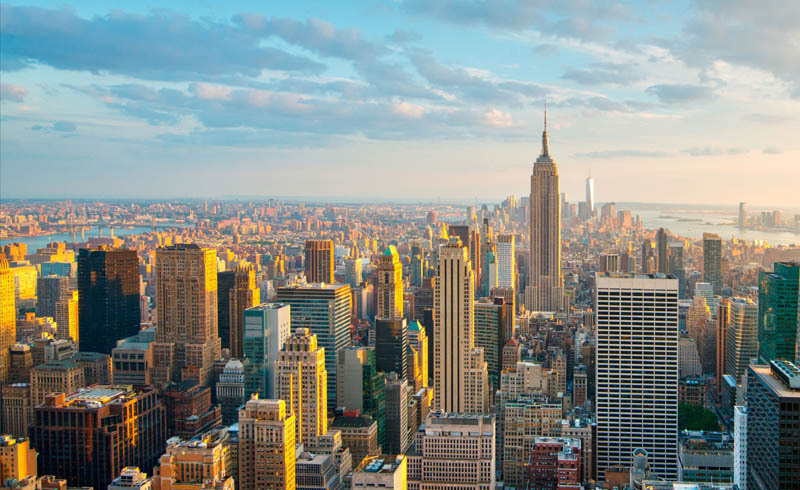 Stay cool with refreshing activities like cruising down the Hudson River with a chilled drink in hand, splashing about in the city's myriad swimming pools, or escaping into a delightfully air-conditioned theater for a Broadway matinee. 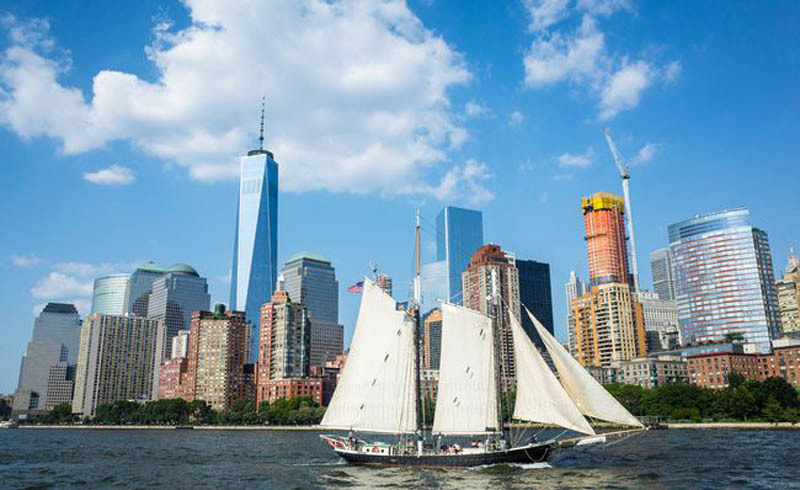 There’s no better way to explore New York in the summer than by floating down its waterways, and a leisurely boat ride on the Hudson River and in New York Harbor is a favorite summertime activity for locals and tourists alike. 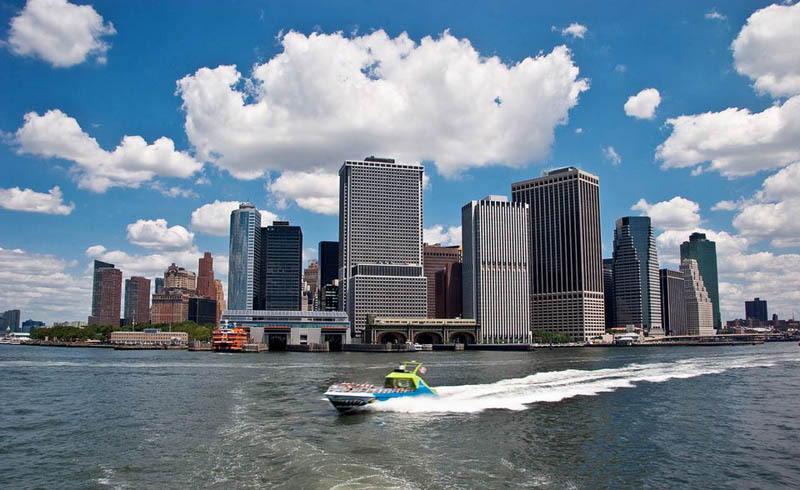 To kick off your water-bound adventures, consider picking up the All Access Pass with NY Water Taxi: this ticket includes flexible timing for your water taxi rides, making you the captain of your own pace. Ride the water taxi for a fun way to arrive at iconic NYC sights, including the Empire State Building, Statue of Liberty, One World Trade Center, and the Brooklyn Bridge. For water-sprayed thrills, jump aboard the Beast Speedboat with Circle Line Sightseeing. Like its name suggests, the Beast is a high-powered, custom-built speedboat that propels passengers at speeds upwards of 45mph. Kids and teens love it, thanks to the boat’s hundred speakers and hidden surprises on board, including an unexpected water balloon fight right in the heart of New York Harbor. As for beaches, the concrete jungle might surprise you. 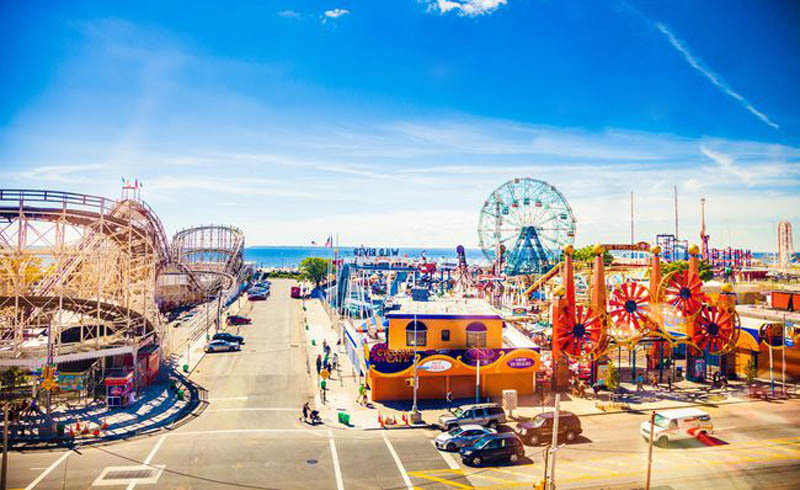 The New York City area is filled with plenty of top-notch beaches, including Brighton Beach, Cedar Grove Beach, Coney Island, Manhattan Beach, and Rockaway Beach. Most of these beaches are accessible via subway, so all you need is subway fare, a bathing suit – and a sense of adventure. Remember Night at the Museum? Try and recreate the movie by spending an afternoon roaming the cool, soaring halls of the American Museum of Natural History. This beloved family-friendly museum has a formidable history — it first opened in 1869 and since then has become one of the most-visited museums in New York City. Some of the coolest, kid-friendly attractions include the massive blue whale in the heart of the Milstein Hall of Ocean Life; the thousands of looming dinosaur fossils suspended in the Hall of Vertebrate Origins; and the mysterious, intergalactic Rose Center for Earth and Space. Also a huge hit with families: The interactive Discovery Room, which offers a hands-on approach to science. 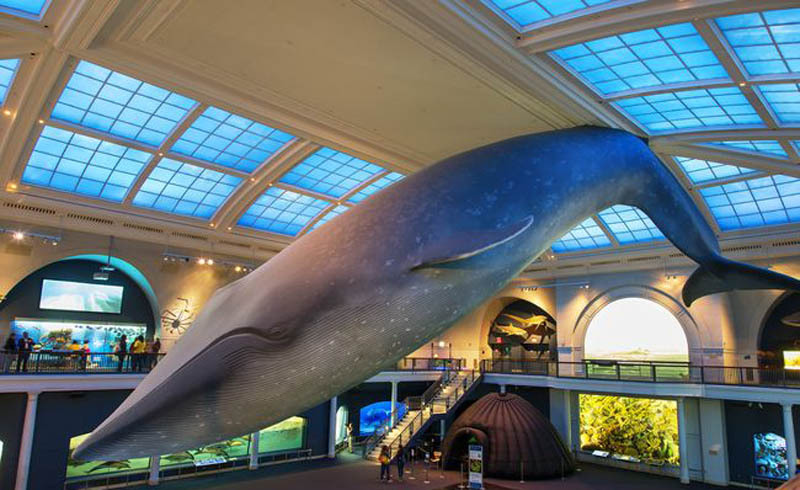 For the ultimate museum experience, book A Night at the Museum overnight stay, where you and the kids can curl up on a comfy cot beneath the mystical blue whale. The night includes IMAX film admission and live animal presentations, as well as an evening snack and light breakfast. No trip to New York is complete without seeing a Broadway show. 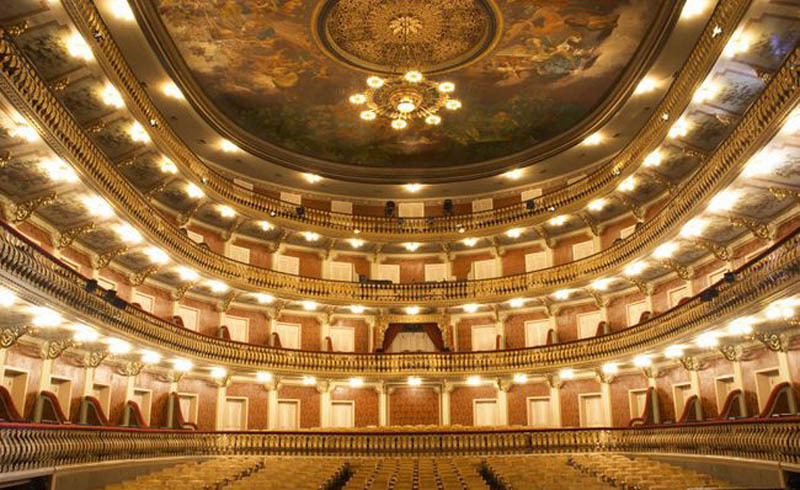 Escape the midday sun and catch a matinee at one of Broadway’s grand theaters. For upwards of three hours, enjoy high-kicking dance numbers and upbeat songs, while also reveling in the wonderfully cool theater. You’re spoiled for choice — Broadway is filled with family-friendly fare, from classics like Wicked, Chicago, and The Lion King, to newer musicals such as Dear Evan Hansen, Come From Away, and A Bronx Tale. Trekking the hot streets of NYC works up a sweat. Instead, consider sightseeing aboard a guided bus tour, most of which are equipped with AC or offer open-air breezes. Indeed, if you have a limited time in New York, these buses offer the perfect way to check off the city’s most famous sights, while also staying cool. Traveling with teens? 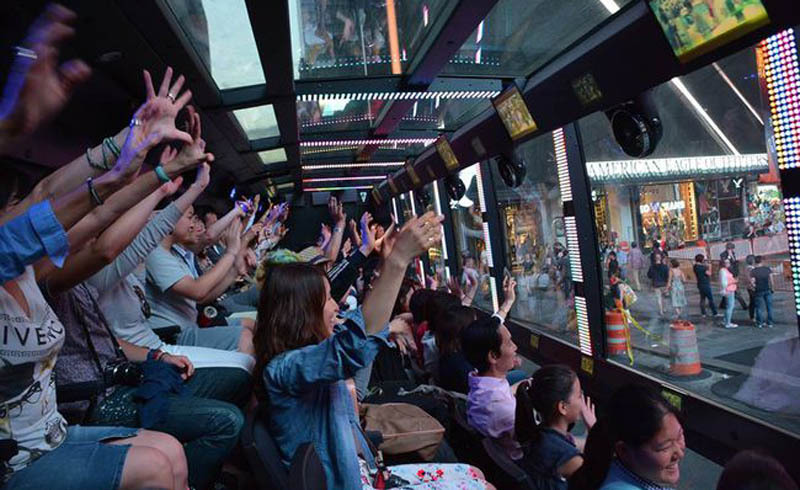 Don’t miss The Ride, a high-energy 75-minute tour of New York on a theatrical party bus. The unique bus faces one side of the street, providing a full-screen vantage point of the New York cityscape while also positioning you for a face-to-face view of surprise street performances. For a more traditional bus tour of New York sights and landmarks, from the Chrysler Building to One World Observatory, book a ticket with Gray Line City Sightseeing New York or Open Loop New York.